Here is the human mouth in its ideal form. No cavities, no fillings, and no sign of dental disease. Unfortunately, teeth often don’t look quite this good. At right, you can see how dark, unsightly silver fillings detract from the appearance of the teeth. Fortunately, Houston dentists now have a new filling material called resin. This material can replace dark silver fillings and make your teeth look beautiful and natural again. In the past, when an old filling wore out or you had a cavity, your only option was to get another silver filling. But silver fillings have several drawbacks. For example, the edges of silver fillings can wear down and become weak. 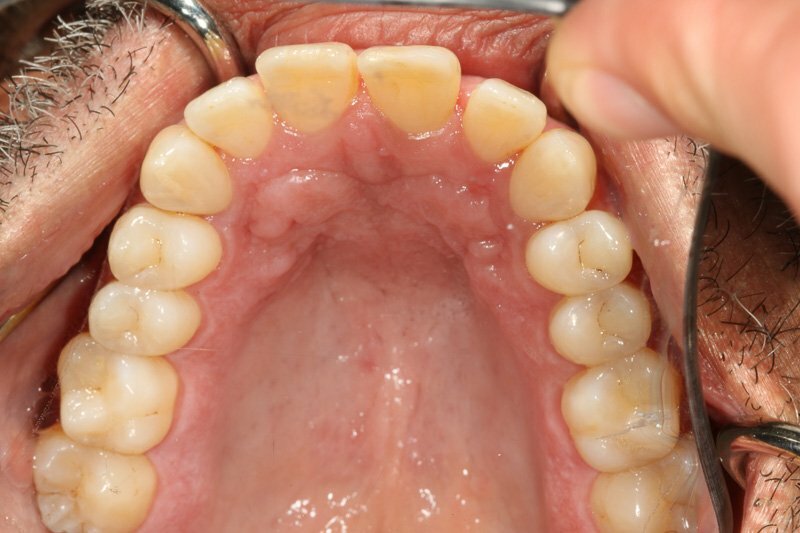 When fillings break, they no longer seal the tooth. This lets cavities get started again. A cavity can grow under a filling! And silver fillings act like a wedge inside the tooth, frequently splitting it as the metal contracts and expands with age. Silver fillings can corrode and leak, causing unsightly stains on the teeth and gums. And finally, silver fillings contain 50 percent mercury; this causes concern in some people because of mercury’s toxicity.